For many children, taking a day trip to a zoo or museum was not complete until an oval-shaped coin pressed with a zoo animal or dinosaur was created, commemorating the great times they had. Purdue University’s EPICS team designed an 8-foot-6-inch penny press for Purdue’s 150th anniversary, which now permanently resides in the atrium of the Neil Armstrong Hall of Engineering. 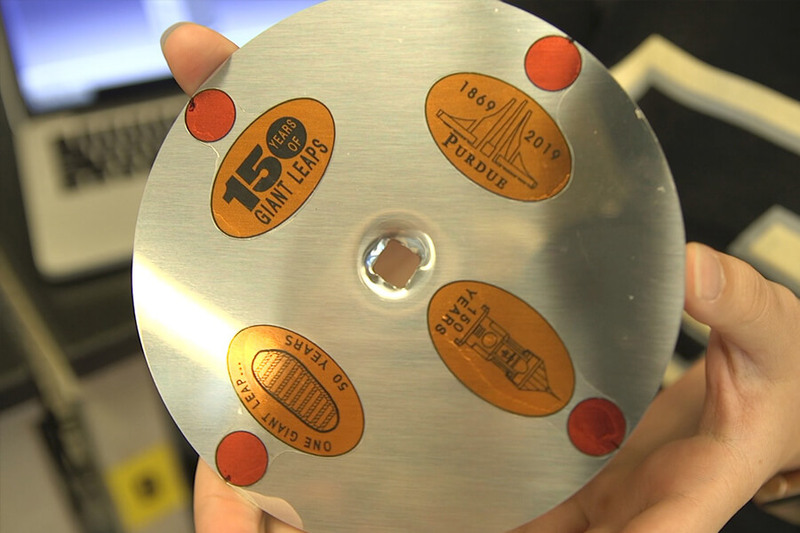 Purdue University’s EPICS team is bringing this memorable experience to Boilermakers with their own version of a penny press in honor of Purdue’s Sesquicentennial, 150 Years of Giant Leaps celebration. 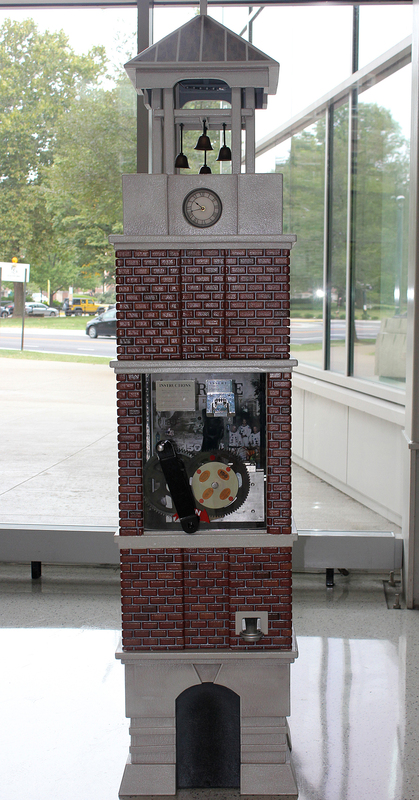 The penny press was unveiled prior to the Homecoming football game, and now will permanently reside in the atrium of the Neil Armstrong Hall of Engineering. This is one of many elements celebrating Purdue’s Sesquicentennial, 150 Years of Giant Leaps. This yearlong celebration is highlighting Purdue’s remarkable history of giant leaps, while focusing on what giant leaps Purdue can take to address the world’s problems. EPICS (Engineering Projects in Community Service) is a service-learning design program within the College of Engineering that uses innovated technologies to solve engineering-based problems for community organizations. The group has been working on this project for a year now, and although they are not working with an outside partner, Carey said this project is very important to EPICS. The 8-foot-6-inch penny press has four iconic designs chosen by Purdue students, but it will do more than just press pennies. The press has LED lights to mimic the lights on the Bell Tower, archived pictures of the university and audio including the Purdue fight song and Neil Armstrong’s moon landing quote. “It’s all controlled by whenever a penny is rolling past the sensors. The penny not only controls sound but the lights and other cool effects,” said Matt Fitzgerald, co-project manager for the project and a junior in systems analysis and design. Carey hopes that this project makes an impact on students, visitors and alumni. “I’m hoping it can remind people what role Purdue made in their lives and hopefully to continue to involve Purdue in their lives as they go into the future,” Carey said. The public can choose from four sesquicentennial designs when they get their pennies pressed from an iconic bell tower machine built by Purdue students.